Patra's Other Place: Christmas is here; claim your gift now! 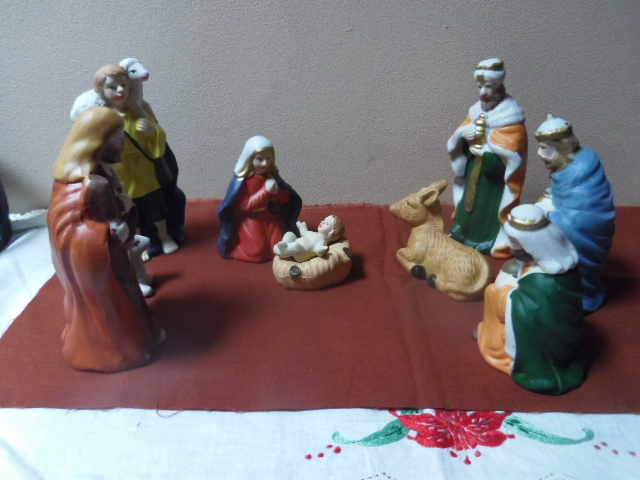 Some Christmas-type photos to make this post a bit decorative. 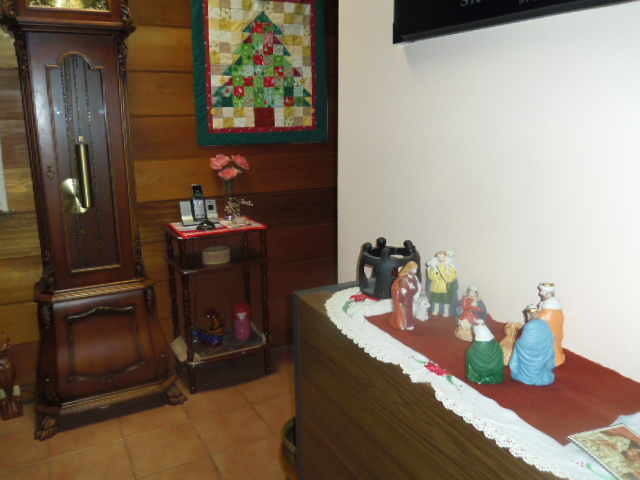 Our entrance hall dressed up for Christmas with my patchwork Xmas tree on the wall next to the grandfather clock, and our Nativity figurines set up on the old air conditioner (which no longer works but is great as a display area). 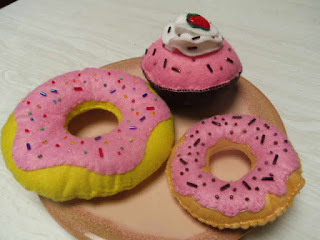 Home made donuts and cup cake. But not edible. Actually made out of felt - pin cushions! I've been making these over the past week and have them sitting on the kitchen table where hungry visitors reach out to take one, then say "Oh, they're fake!"